Conference USA champion University of Alabama at Birmingham will head to the Sunshine State for a Tuesday, Dec. 18, meeting with MAC champion Northern Illinois in the 2018 Cheribundi Boca Raton Bowl at FAU Stadium. 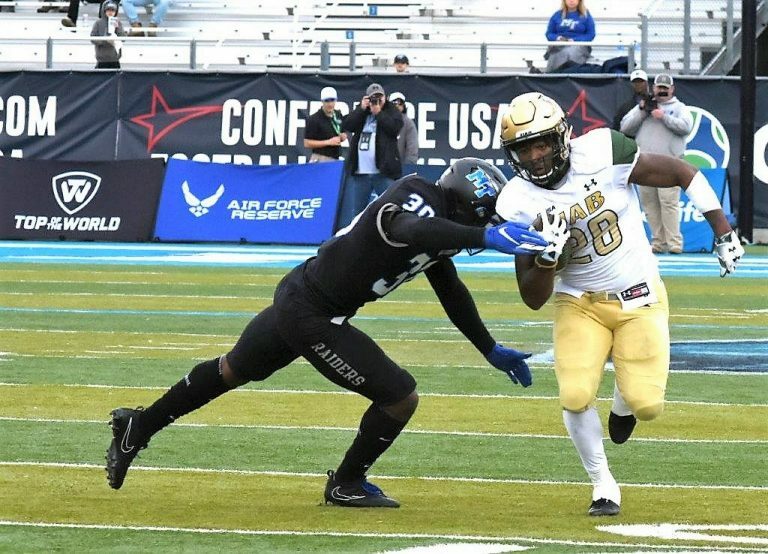 How did UAB reach the bowl game? Four years after the football program was shut down and just one year after its triumphant return, Clark led his team to its first football conference championship on Dec. 1, coming from behind to beat the home-standing Blue Raiders of Middle Tennessee State 27-25 before an announced crowd of 15,806. Many in the stands were decked in green while a sea of cellphones encircled the fenced area near midfield at Johnny “Red” Floyd Stadium as CBS broadcast the presentation of the MVP trophy to running back Spencer Brown and the league championship prize to Clark, who just days before became CUSA’s highest paid coach. A week earlier, Brown got one carry as an injury largely kept him off the field. UAB was missing seven starters in the first game of this gridiron version of a twin bill.